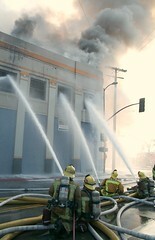 The LAFD has a Flickr account! How cool is that? Photography is a great way to show people what you’ve been up to—it’s great to see an official agency putting a service like Flickr to such good use.